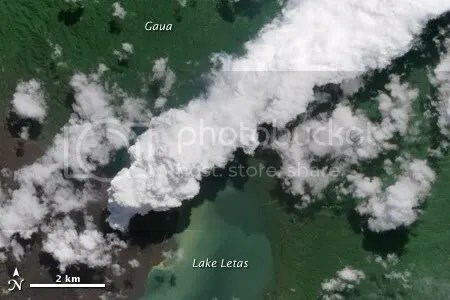 Posted by admin in activity reports, eruptions, Gaua, NASA Earth Observatory, Pacific, Vanuatu, volcanoes. 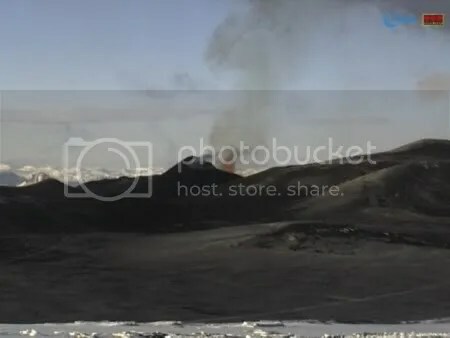 As reported here last week, activity is continuing at Gaua volcano in Vanuatu, with the government planning for evacuations of Gaua Island. 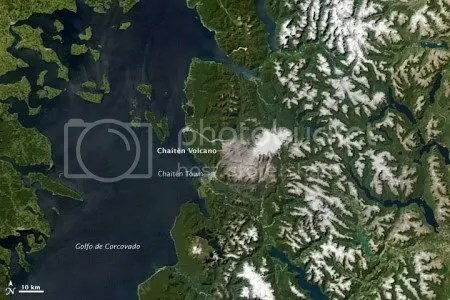 The NASA Earth Observatory has been providing some excellent satellite imagery of Gaua, most recently the above image, captured on 24 April 2010 by the Advanced Land Imager aboard NASA’s Earth Observing-1 (EO-1) satellite. The brown areas on the left of the image, to the west and south-west of the volcano, show where volcanic emissions and ashfall have damaged and killed vegetation. The world is paying little attention to the activity at Gaua, but it is shaping up to be a very nasty, hazardous and disruptive eruption. 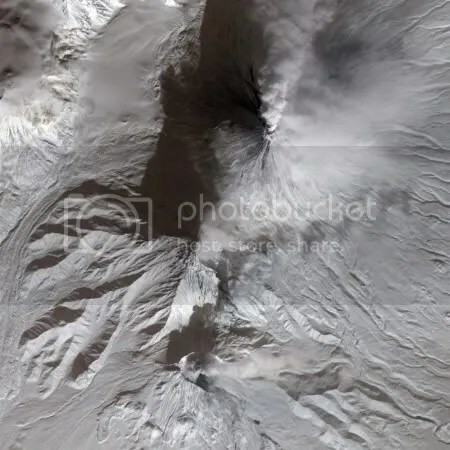 Ashfall, poisonous gases, volcanic bombs and mudflows are being produced by the active cone, Mount Garet, and emissions are tainting local crops and water supplies. Rising water levels in the crater have been reported, increasing the risk of still more dangerous mudflows. The population of Gaua has already had to abandon the western side of the island and seek refuge in the east, away from the worst of the volcano’s ash and fumes, but as the activity increases they may have to evacuate completely. Radio Australia News quotes Vanuatu Geohazards Technical Advisor: ‘The current risk is mainly ash falls and then mudflows. It’s true that we have an increase in activity but not like a level 3. Evacuation is ready the plan is ready the location is ready, it’s a very tough situation for the local population of Gaua, they’re scared they’re afraid, it’s a very new situation for them’. The alert level for Gaua is still at level 2, according to the Vanuatu Geohazards Observatory. For all our coverage of Gaua: Gaua « The Volcanism Blog. 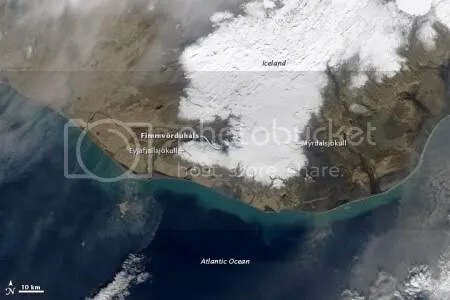 Posted by admin in eruptions, Eyjafjöll, Iceland, NASA Earth Observatory. Eyjafjallajökull volcano ash plume taken by the Moderate Resolution Imaging Spectroradiometer (MODIS) on NASA’s Terra satellite, 19 April 2010. Detailed view of ash plume at Eyjafjallajökull volcano captured by the Advanced Land Imager (ALI) on NASA’s Earth Observing-1 (EO-1) satellite on 17 April 2010. 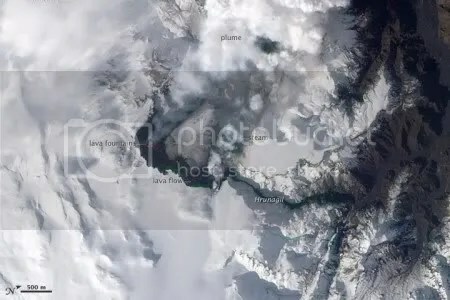 Thick ash pouring from Eyjafjallajökull volcano in an image from the Moderate Resolution Imaging Spectroradiometer (MODIS) on NASA’s Aqua satellite acquired, like the image above, on 17 April 2010. Posted by admin in Eyjafjöll, Iceland, NASA Earth Observatory. A dramatic new image at the NASA Earth Observatory shows the reach of the ongoing Eyjafjallajökull eruption. The image, captured by the Moderate Resolution Imaging Spectroradiometer (MODIS) on NASA’s Terra satellite on 15 April 2010, shows the brown ash-heavy plume produced by the eruption stretching south-eastwards across the Atlantic from Iceland (top left) to the Shetlands (bottom right). This is the ash that has been disrupting air traffic across northern Europe today. 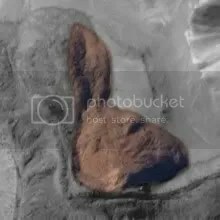 For more dramatic satellite imagery, see Eruption of Eyjafjallajökull Volcano, Iceland (NASA Earth Observatory) and The Big Picture: Volcanic ash (BBC News). 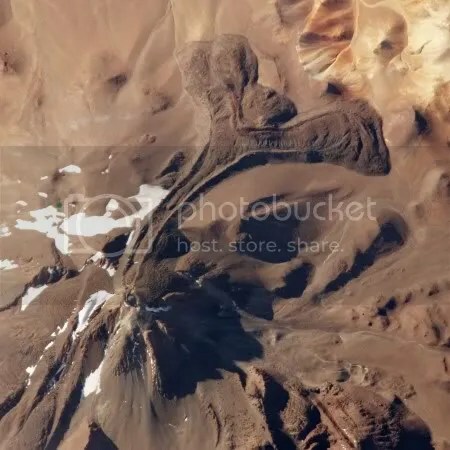 Posted by admin in activity reports, eruptions, Eyjafjöll, Iceland, NASA Earth Observatory, volcanoes. Hot on the heels of the Advanced Land Imager’s view of the Eyjafjallajökull eruption showcased by the NASA Earth Observatory a few days ago comes this MODIS image captured by the Terra satellite on 26 March 2010 which shows very clearly the location of the current activity at Fimmvörduháls, between the two icecaps of Eyjafjallajökull (west) and Mýrdalsjökull (east). It is fortunate that the eruption is between the icecaps and not beneath them: a subglacial eruption would threaten to unleash a meltwater flood or jökulhlaup. Posted by admin in activity reports, eruptions, Eyjafjöll, Iceland, NASA Earth Observatory. As previewed here (and at Eruptions) yesterday, the NASA Earth Observatory image of the day for 27 March 2010 is the ongoing fissure eruption at Eyjafjallajökull/Fimmvörduháls in south Iceland. A commenter here asked about the green colour visible within the fissure and the drainage channel in this image. Robert Simmon of NASA answers that question in the Eruptions comments thread: ‘The green along the margin of the lava flow is an artifact of the satellite sensor. The true-color image is the combination of a 30m/pixel RGB image with a 10m/pixel panchromatic image. Each color pixels covers the same area as 9 panchromatic pixels, so you’ll occasionally get odd colors in high contrast areas’. Posted by admin in Caribbean, eruptions, NASA Earth Observatory, Soufrière Hills. 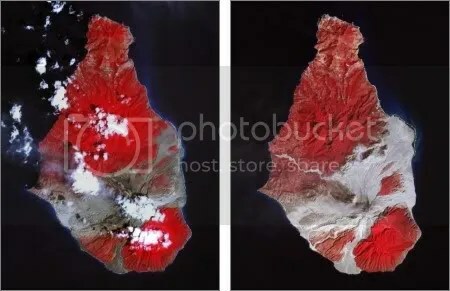 The NASA Earth Observatory has published two satellite images of Montserrat, one showing the island in March 2007 before the Soufrière Hills lava dome collapse of 11 February 2010, and one captured ten days after that event. The two images make a fascinating comparison: a much-reduced side-by-side version is shown above. The March 2007 image is on the left, the February 2010 image on the right. A great deal of fresh ashfall can be seen, and the extensive pyroclastic flow deposits north-east of the volcano (extending the coastline by 650 metres according to MVO reports) are clearly visible.